Last year, investors funneled approximately $1.5 billion into real estate-related tech startups. That represents an increase from $1.1 billion in venture funding capital for real estate tech startups in 2014, and a 350-percent increase from four years prior. Many of the top tech real estate fundraisers make their home in New York, and that includes Compass. Although real estate has certainly lagged behind other industries in terms of technological innovations, that has actually made the sector fertile ground for tech entrepreneurs. Real estate now represents a massive market. Furthermore, it is a market with a number of challenges that need to be overcome. The fact that there has not been a tremendous amount of technological innovation up to this point only means that the market potential for the real estate industry is even greater for tech startups capable of delivering viable solutions to relieve those pain points. In the early days of the real estate tech wave, startups tended to focus on giving consumers the data they desired. Today, startups are focusing on providing real estate professionals with the tools necessary to close deals more quickly than they did in the past. Most startups focused on the commercial side of the real estate industry in the past, but that has begun to change with more startups now turning their attention to the residential side. The real estate industry may have been somewhat resistant to technological change, but that has begun to change. In the last few years alone, the industry has witnessed a veritable explosion of startups specifically geared toward driving the real estate industry to the next level. 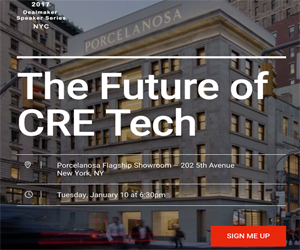 In response, an increasing number of brokerages and real estate firms have actually begun to embrace the introduction of tech to the industry. Those firms who have not leveraged the benefits offered by an onslaught of tech firms could actually find themselves playing catch-up. At the same time, tech-based real estate startups have begun to discover that this space is more competitive than ever before. New startups are working furiously to deliver the next big solution that will transform the real estate industry. Exactly where the next big real estate tech startup will come from remains to be seen, but it has become abundantly clear that the competitive tech race taking place within the real estate industry is one that will not conclude anytime in the near future.